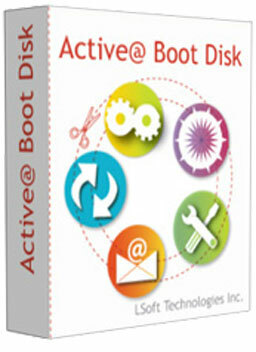 Active@ Boot Disk is a complete and functioning computer operating system on CD/DVD/USB disk. Active@ Boot Disk does not modify the operating system already installed on a computer's hard drive. It includes many tools to boot up a computer and fix most startup, PC configuration, and system management problems.